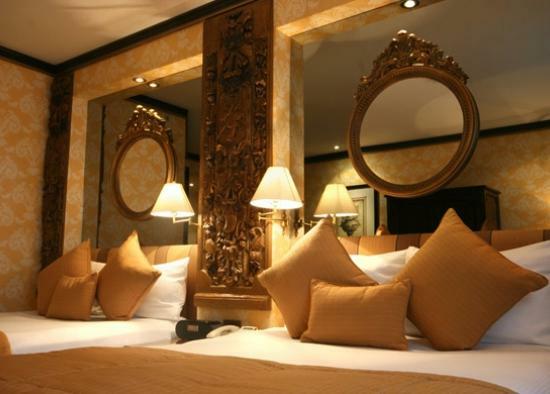 Step inside a world of incomparable elegance, exquisite design and premier service. 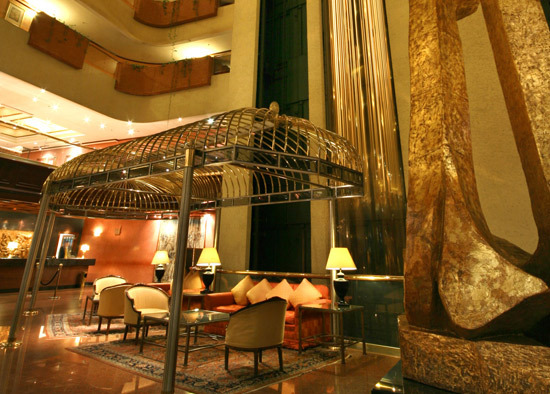 Step inside Gran Meliá Mexico Reforma Hotel, one of the finest resorts in Mexico. This 489 guestroom hotel is located on Paseo de la Reforma and offers an ideal location for guests who are in Mexico City for business and for those who are looking to explore one of the largest, most dynamic cities in the world. 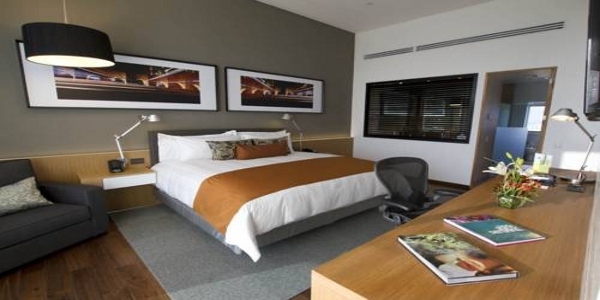 As a recipient of the AAA 4 Diamonds, Meliá Mexico Reforma is set to incomparable standards of comfort and service. Every detail is carefully taken care of and every service is provided as you take some time and enjoy your stay with us in one of the most sought after Mexico vacation spots. 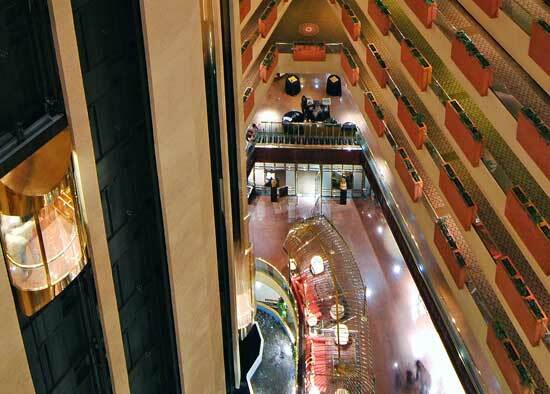 Built in an elegant, modern style, the hotel’s impressive 20-story atrium-style lobby features a monumental abstract sculpture, seating areas enclosed in brass-ribbed gazebos and a classic European flair. 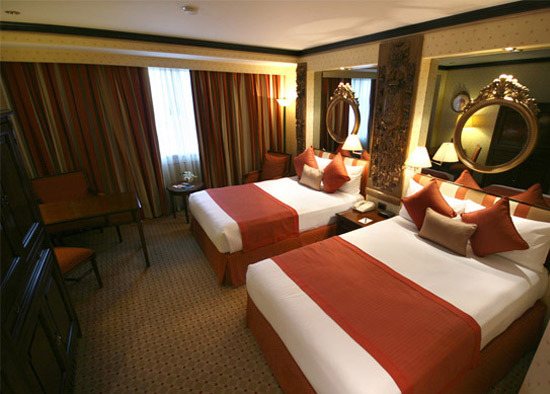 The hotel is conditioned with modern facilities and boasts first class service. From exquisite dining options to a world-class spa, Meliá Mexico Reforma offers guests every comfort imaginable, always with the Sol Meliá touch of elegance. 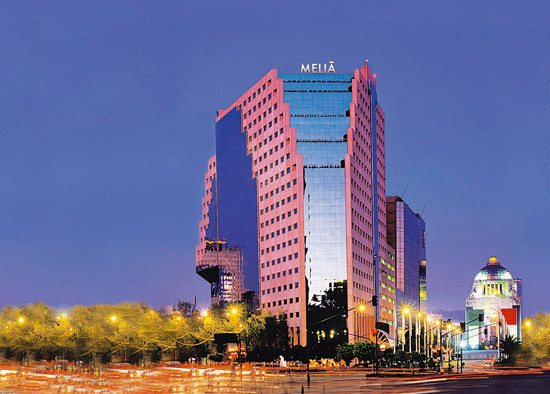 Meliá Mexico Reforma is located on the recently renovated Paseo de la Reforma Avenue, near the financial, cultural and historic district and with convenient access to the Polanco and Santa Fe business areas. The hotel is just 12 miles from the international airport and 31 miles from the pyramids of Teotihuacán, making it centrally located in one of the hottest Mexico vacation spots. As the first Spa in Mexico to receive official Mexican Spa Certification, the Spa at Meliá Mexico Reforma assures the highest quality of service and facilities for its guests. A team of highly-qualified professionals will pamper and soothe you, reenergizing mind and spirit. Immerse yourself in the splendor of one of the most exclusive spas Mexico City has to offer. The spa at Meliá Mexico Reforma lets you take a step back and enjoy true relaxation and rejuvenation in elegant style. Located on the ninth floor, the Spa features six massage rooms, a relaxing living room, a sauna and steam bath, a full-service beauty parlor, as well as a state of the art gym overlooking the city. Featured treatments include Shiatsu massage, hot stone massage, aromatherapy, and facial treatments. The Spa also has an elegant heated pool with an artificial current, and three semicircular spa tubs, making one of the most relaxing day spas in Mexico. The pool area is enclosed by a glass solarium roof for an outdoor feel in the middle of the city. Your meetings at Meliá Mexico Reforma are expertly coordinated by our efficient staff. Whether it is corporate events in Mexico City or a celebration among family and friends, Meliá Mexico Reforma provides all the necessary elements to make the event unforgettable. 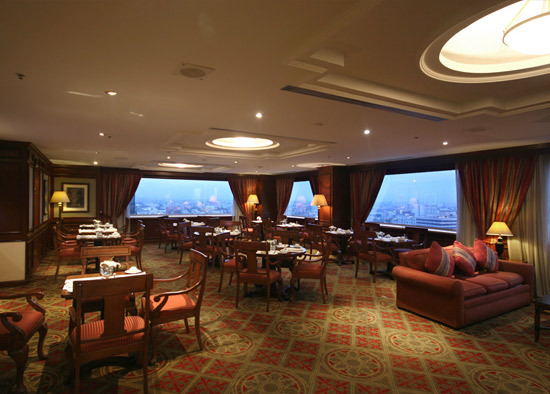 The hotel offers 26 meeting and banquet rooms for up to 700 people. 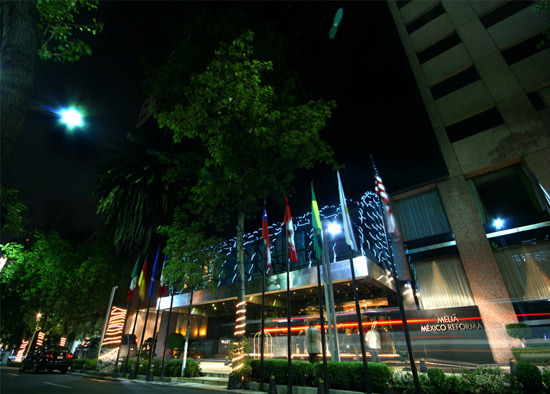 The hotel’s large business center includes four meeting rooms for 6 to 12 people each, and three private rooms with computers and high speed internet access (surcharge applies), making it perfect for corporate events in Mexico City. Audio-visual equipment is available upon request. As part of Meliá Mexico Reforma’s commitment to be one of the optimum hotels in Mexico, and to provide you with the very best in accommodations all 489 rooms at Meliá Mexico Reforma have incredible views of historic downtown Mexico City and all the comforts of home, plus a few extras we’ve added just for your pleasure. Wi-Fi available in the room ($). 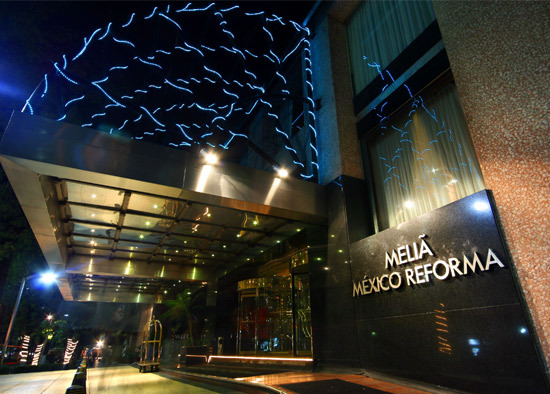 Additionally, Meliá Mexico Reforma is equipped with modern surveillance and security systems in all public areas of the property, including guestroom corridors, making one of the safest hotels in Mexico. 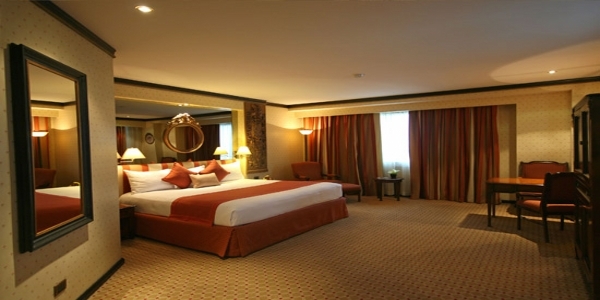 Decorated with a European flair, Meliá Mexico Reforma’s guestrooms provide everything a guest would expect at a premier hotel, and everything you are looking for in Mexico hotels vacation packages. 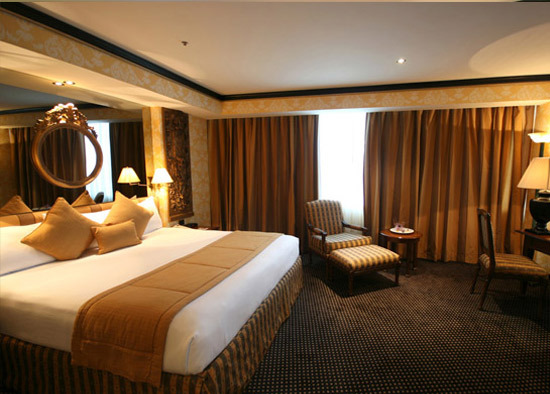 Apart from the hotel’s deluxe city view rooms, the hotel offers exclusive The Level, providing guests with that added touch of luxury and personalized attention. Enjoy a spectacular view of Mexico City main avenue “Paseo de la Reforma”. The rooms have an oversized deluxe marble bathroom with walk in shower and separate tub for an ultimate relaxation. 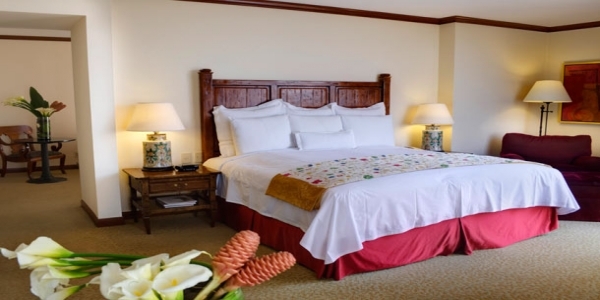 All rooms are equipped with high speed wireless internet access. On request you may have in room safe deposit for laptop. 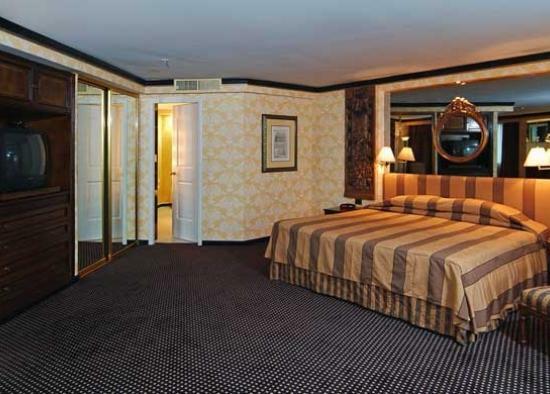 Access to a multi-line phone with voice mail, cable TV, coffeemaker, vanity mirror, hair dryer, bathrobe and slippers. Wi-Fi available in the room ($). 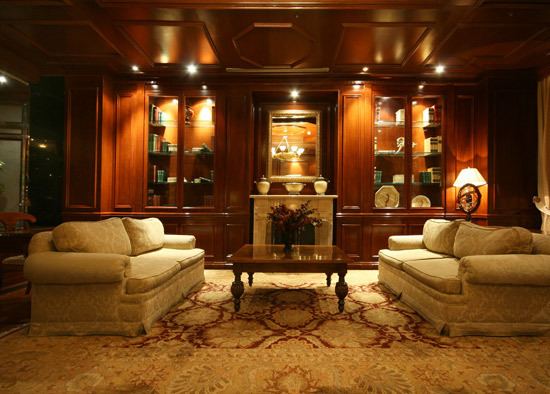 European design with traditional elegance and comfort. **Non-smoking and handicapped-accessible rooms are available. The Level, at Meliá Mexico Reforma offers an elevated level of service featuring private check-in/out, a pillow menu, and butler service that one is looking for in a luxury Mexico City Hotel . This privileged service option also includes an American-style breakfast in the morning, as well as afternoon appetizers, complimentary drinks, and hors d’oeuvres in a private lounge. Guests of The Level are treated to the unique “Soul and Magic” philosophy of relaxation guaranteed to please your senses with aromatherapy, soothing music and soft lighting. 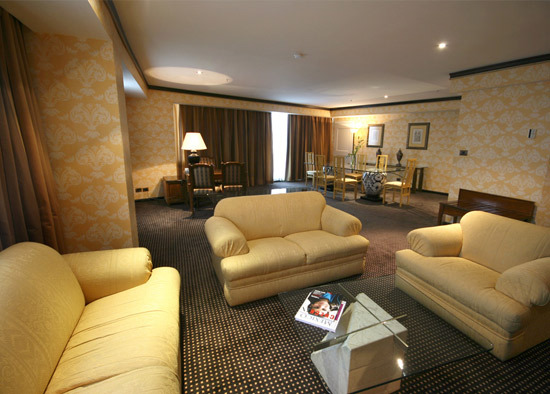 Also available for a surcharge are mobile phone rentals and in-room spa treatments. Free Wi-Fi available in rooms. 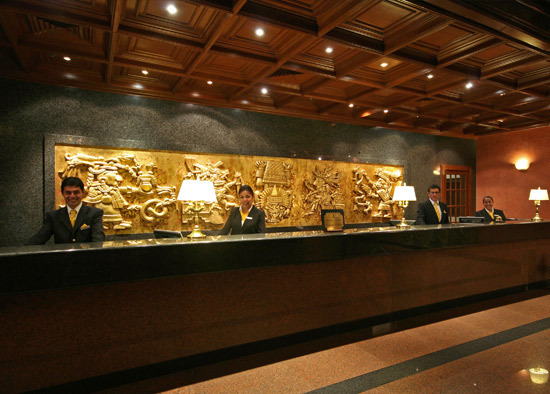 We recognize that after a long business day, high-power meetings or a full day of sightseeing, comfort is paramount to ensuring your experience is complete at our distinguished hotel in Mexico. This is why The Level has redefined its existing services and amenities and developed new ones to make your experiences during your Mexico vacation even more enviable. Try our new bedding, with plush duvets, pristine sheets and comfy pillows for a restful night’s sleep! 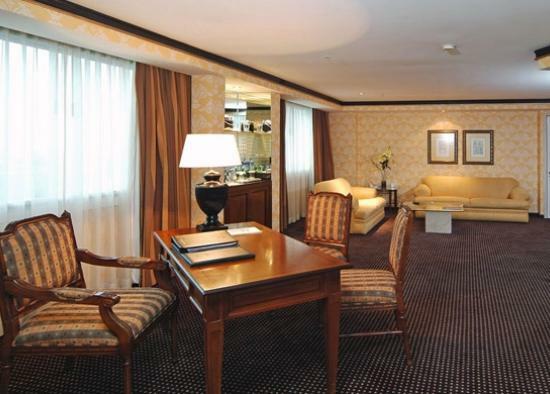 Meliá Mexico Reforma’s The Level has 30 elegantly decorated Junior Suites, 4 Master Suites, and one Presidential Suite. 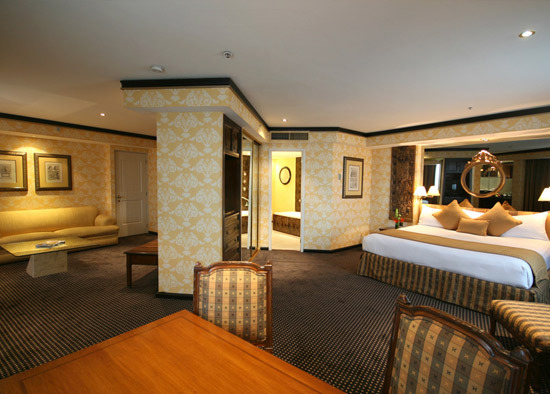 Similar in style and décor to the classic Deluxe City View Rooms but with the added luxuries of The Level amenities and services. These elegantly decorated guestrooms, adorned with classic European style dark-wood furnishings, feature a spacious bedroom with one King size bed plus a cozy living room adjacent to the room with a corner working area. An experience in comfort awaits with our exclusive bedding including plush duvet covers and four goose-down pillows complementing Italian satin decorative striped sheets and chenille runners. Plus, as a guest of The Level, choose from our exquisite pillow menu. 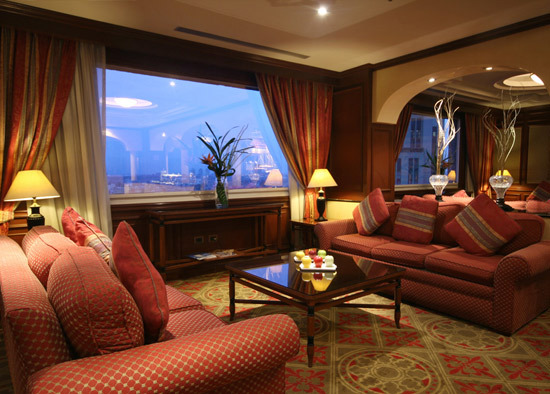 Junior Suites offer views of Paseo de la Reforma or Plaza de la Republica Avenues. Bathrooms feature separate walk-in showers and bathtub and granite vanity mirror. 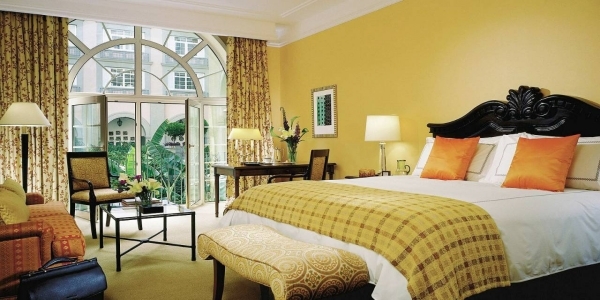 Spacious suite decorated in a classic European style with dark-wood furnishings, featuring a spacious bedroom with one King size bed plus a cozy living room adjacent to the room with a corner working area and a large dining room area. 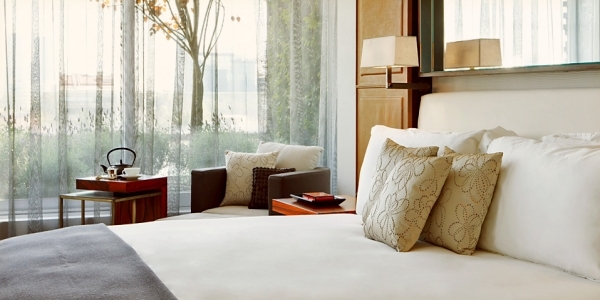 Master Suites offer views from an outdoor terrace of Paseo de la Reforma or Plaza de la Republica Avenues. Bathrooms feature separate walk-in showers and bathtub and granite vanity mirror. Premier suite featuring the utmost in elegant accommodations. The guestroom features a large outdoor terrace overlooking the city, a dining area, a living room area, a studio and a separate bedroom with living area, private bathroom and all of the amenities that define The Level. In a city boasting a cuisine known throughout the world, Meliá Mexico Reforma luxury hotel offers distinct dining options that will treat every guest with the very best in Mexican and international cuisine. All of Meliá Mexico Reforma’s dining venues are decorated with mood-enhancing elements that add to the culinary experience of all guests. Service is never overlooked-trained and friendly staff meet your every expectation as you delight your palate at any of our Mexico City restaurants and bars. L’Albufera is the hotel’s Star-Diamond awarded restaurant. Set in an atmosphere of casual elegance, this Spanish/Mediterranean restaurant boasts the best paella of any of the restaurants in Mexico City. Café Miró is a large, colorful venue featuring extensive breakfast, lunch and dinner buffets, as well as a la carte service and a made-to-order grill, in a casual ambiance. This restaurant serves the very best of Mexican and international cuisine. The bountiful dessert buffet will satisfy anyone’s sweet tooth. This venue is truly a delight for those looking for the best in Mexico City restaurants. Bars The Reforma 1 Bar is the perfect spot for getting together with friends or wrapping up a business meeting. The bar features flat-screen TVs, and has live music from 8 PM to 11:45 PM. 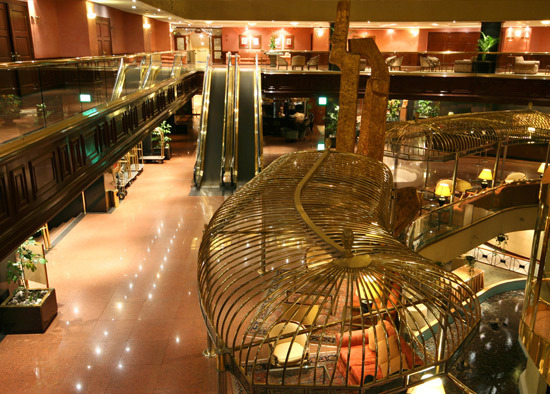 The Lobby Bar has a more casual atmosphere, with a wide selection of domestic and international premium brand beverages. L’Albufera is the hotel’s Star-Diamond awarded restaurant. Set in an atmosphere of casual elegance, this Spanish/Mediterranean restaurant boasts the best paellas in Mexico City. L’Albufera is open for breakfast Monday through Friday from 7 to 11 AM. Café Miró is a large, colorful venue featuring extensive breakfast, lunch and dinner buffets, as well as a la carte service and a made-to-order grill, in a casual ambiance. This restaurant serves the very best of Mexican and international cuisine. The bountiful dessert buffet will satisfy anyone’s sweet tooth. Meliá Mexico Reforma’s restaurants and bars offer guests the perfect spots to enjoy a relaxed meal or a few drinks with friends in Mexico City. Although centrally located and near many restaurants and bars in the area, don’t forget to try our in-house specialties. Featuring unique venues and exceptional service, dining at Meliá Mexico Reforma is always a pleasure. Take a glance at what’s in store. 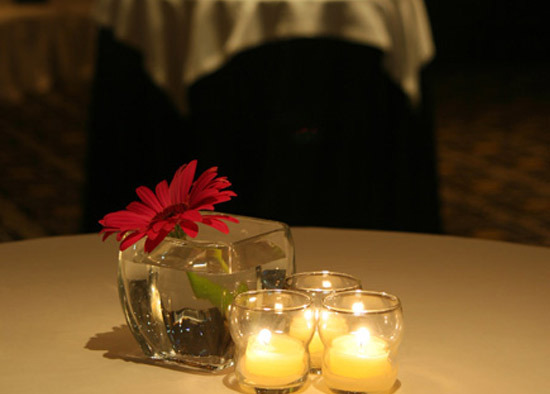 The Reforma 1 Bar is the perfect spot for getting together with friends or wrapping up a business meeting. The bar features flat-screen TVs, and has live music from 8 PM to 11:45PM. There is never a cover charge. 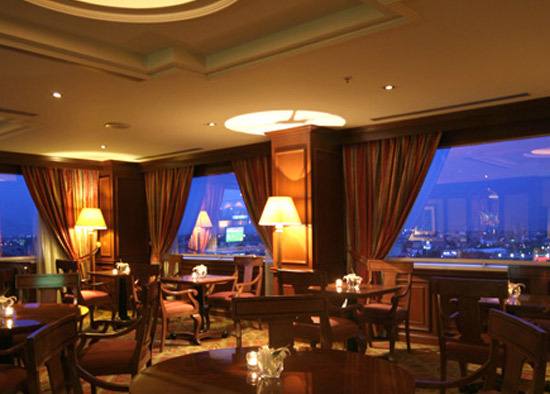 The Lobby Bar has a more casual atmosphere, with a wide selection of domestic and international premium brand beverages.